Rob White explores Carol Reed's unique post-war thriller and considers its director, its production history and its charismatic antihero. A window is thrown open and the sudden light illuminates the face of Orson Welles. Harry Lime’s return from the dead in The Third Man (1949), Carol Reed’s unique thriller set in occupied Vienna, is one of the most famous scenes in all cinema. But there is more besides: the zither score, the tilted shots, the cuckoo-clock speech, the desperate manhunt in the city sewers. 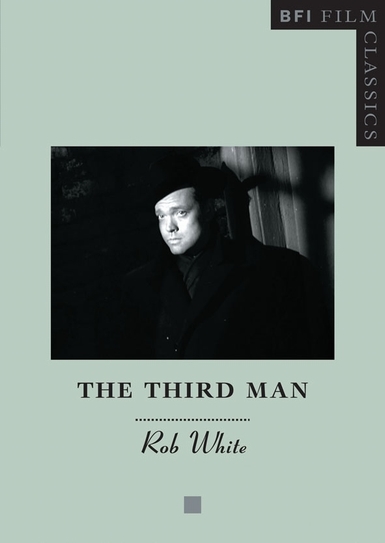 A British-American co-production overseen by Alexander Korda and David O. Selznick, The Third Man was written by Graham Greene, photographed by Robert Krasker and featured, along with Welles, Joseph Cotten, Alida Valli and Trevor Howard. All of them did superb work under Reed's subtle direction. After The Third Man Reed was hailed as one of the world’s great directors. Rob White sets out to understand what kind of artist Reed was and whether he deserved such accolades. He explores how the film came to be made and in so doing unearths new material from the archives. Above all he seeks to explain the fascination of The Third Man, which is personified in the charismatic antihero Harry Lime - an endlessly beguiling figure even though he is an amoral killer.